I'm so sorry. Your family is in my thoughts and prayers. Rest in peace, sweet boy. Not a day goes by that I don't check Ty's site to see how he is doing. There are no words to ease the pain your family is going through. Ty was so lucky to have such an amazing family. My prayers are with all of you. Rest in Peace Sweet Ty. There are no words...Love and Prayers to the Campbell Family. Ty, Cindy & Lou...thank you for sharing Ty's journey with us. I am a better mommy because of Ty and I am so grateful for that. Be at peace sweet angel. So sorry for your loss. I'll always have Ty in my heart and in my prayers. Dear lord hold him in your loving arms and shower him with your grace . God Speed beautiful boy. You are now and always will be an inspriation to us all. Prayers to the loved ones left behind. Rest in peace sweet Ty. My heart and prayers go out to your family in this difficult time. I am so sorry! Rest in peace, amazing , beautiful , sweet little boy!! Thoughts and prays for your all of you..
Oh my god. Ty was the strongest boy i have ever seen he deserves to live i fricken hate u cancer. Ty was the most gorgeous person or thing ive ever seen. Im praying he is happy in heaven. He deserved so much better then this. So sorry to hear of your loss. I loved reading all about Super Ty daily and prayed for him. May he rest in peace. He is now free and running around. Cindy, Lou & Gavin my deepest, deepest condolences!!! My heart aches for you!!! Heaven is blessed with a beautiful angel. May God bring peace & comfort into your hearts. Super Ty has left a huge mark here on earth. I am so sorry for your loss. May you find comfort and peace in the love of your family and friends. Never met you but you will always be in my heart and in my prayers. There are no suitable words. I am just so so sorry for the loss of your precious, sweet beautiful boy. Many strangers cry with you today. So sorry for your loss. Please know that we will never forget The Best Little Boy in the Whole Wide World. My heart is breaking for your family. Hugs, love, and prayers from the Hains family. :-(. There are no words. Oh no...no,no,no. I am so sorry. I refreshed your blog so many times each day and I feel like we all became Ty's posse. Most of us have never met you but I know we all became to involved on a personal level...so many hearts are broken tonight. Rest in beautiful peace, Ty Louis Campbell...you will never be forgotten.. I'm so very sorry. I know there are no words of comfort or acts of kindness that can ever mend your broken heart. Rest in peace little man. I am so sorry for your loss, may god be with you in this time of need. My heart breaks for your family. I am SO SORRY :((( there is nothing anyone can say that will take away your pain... just please know that he is ALWAYS going to be looking over you, and that someday you will be reunited<3 I am only 22, but Ty's story has truly touched my heart and made me want children. Xo. I am so sorry for your loss. For the loss to the world, actually. It will be forever changed by his passing. Sending love. That's all I can say. So, so sorry for your pain, suffering and loss. RIP, sweet boy! Being the mom of 3 young boys, I know no words I can say will ease your pain. I checked daily and hoped for a miracle that wasn't to be. My heart is broken for you, your husband, gavin and your families. I can only pray that Ty is happier now that his suffering has ended but as a mom I know that doesn't help your heartbreak. Just know reading your site has affected me in ways I never knew. I am a better person and mother. Ty will always be in my heart. I am so sorry to hear this. It is so heart breaking. This sweet little boy has touched so many hearts. I fell in love with this beautiful little boy. Prayers for peace for all that loved this super hero. Thank you for sharing him with us. I think there are many, many people that are better people because of Super Ty. Lord bless this special family. I am so sorry for your loss. Ty is an amazing little man who has inspired is many, including our family. I pray for peace for him and your family. I'm praying for Gavin, too. Lou and Cindy, stay strong for him, he's going to need you so much now, and you're going to need him too. He can now rest in peace. Love you all! I gasped when I saw your post..God bless all of you..thankful that little Ty is not suffering anymore and is at peace..God bless all of you. My heart breaks for you and your family. May you find comfort in knowing that Ty is now free to be the little boy he was meant to be. He is pain free and running and jumping!! Thank you, Ty, for being such an inspiration and to his family for sharing his story and allowing all of us to love your son!! Rest in peace, Ty. My thoughts and prayers are with you all. God will keep him in his graces...always. I am very sorry for your loss </3 I will continue to pray for you and your family during this rough time. I have no words. My heart aches for your family. I will continue to pray for Ty and your family each night. You have made me a better mother. Hugs, Kisses and prayers from Long Beach, NY. I am so devastated to see that Ty has passed. You wrote so eloquently of the terrible journey your family has been on, and I thank you for sharing that with us. I wish you strength and peace in the coming days. Rest in peace little Ty. GOD bless you Big Boy! Rest in peace. your suffering isnow over. I know you are now running and playing and laughing.eat all the candy you want. I really cannot believe this. I am so sad and so sick that this has happened. I feel like Ty was a part of my family. No, he IS a part of my family. My heart hurts for you all and I am mourning with you. I am praying so much for you and your family, Cindy. I love you all. I am so, so sorry for your loss. Your sweet boy was incredibly special. Life is not fair. My heart is breaking. Rest in peach sweet angel. from all the pain and prayers for your wonderful family who loved you so very much!!! My heart is breaking. I am so so sorry... Rest in peace "the best good boy in the world". My heart aches for the family..He will give you a sign that he is ok and happy..No words can help..Love and prayers to all. Ty fly free with the other little angels. So much love is being sent your way, what a courageous family, what a wonderful boy, what a fighter. Now he is at peace and out of pain. Our prayers are still with you. I promise to be grateful for our health always because of your struggle. Praying for comfort. Thank you for sharing the journey. stupid stupid tumors... When you have time, I'm sure you can read all these wonderful posts. Anger is what I feel. Ty was such an inspiration to me and my family. I just texted all of them and they are praying for you. We all kept up with your journey and what a wonderful author you were. I know you are hurting but it's bitter sweet I'm sure. He hurts no more. But we hurt dad gummit. Well, I pray for your following days as you do all the red tape but I also pray for Gavin and Lou equally. As a unit, you all will experience a new normal as I call it. I pray for all those times. From Florida, love to your family. Thank you for sharing Ty with the world, he has made such a big difference in my life, and will forever be in my heart. Please know that I am praying for you and your family, I wish there was something more I could do or say to help. Rest in Peace, sweet Ty. My heart goes out to you, Cindy, Lou, and Gavin. I am so very sorry that this was the outcome. Ty was such a fighter, and you championed his fight so valiantly for 2+ years. I hope you can find some solace in knowing he is not suffering, but I am so sad that you will suffer due to his departure. Sending all my love and prayers. I am so sorry. Ty 's life was to short but so powerful.God bless you Cindy, Lou and Gavin.thank you for sharing Ty with us.He will not be forgotten. You have helped me be a better mom, and nurse.May God surround your family with comfort and grace. I am so desperately sorry for your loss. I may not have know your son but his story has touched my heart in a huge way. May he rest peacefully in God's loving arms. God Bless you sweet boy. I heard about Ty's blog through Ronans and just recently started reading it. I was praying for Ty everyday and enjoyed his smiles of the day. I have 2 sons 5 and 2 and Ty and Ronan have changed me to be a better father and appreciate every moment. I thank you for sharing his journey and I will remember him always. The pain of grieving will be horrendous but I promise when you think you can take no more your body and mind will give you some respite. I lost my brother to a massive brain haemorrhage and now years later with two young children of my own I have days of fun and laughter that I never thought possible. I hope you will eventually have the same with no guilt. You have been and will always be the best mummy ever. And you will always have two sons. I never met your wonderful family and although I never had the honor to meet your little boy, I will never forget him. His courage and strength and love for life will remain with me always. 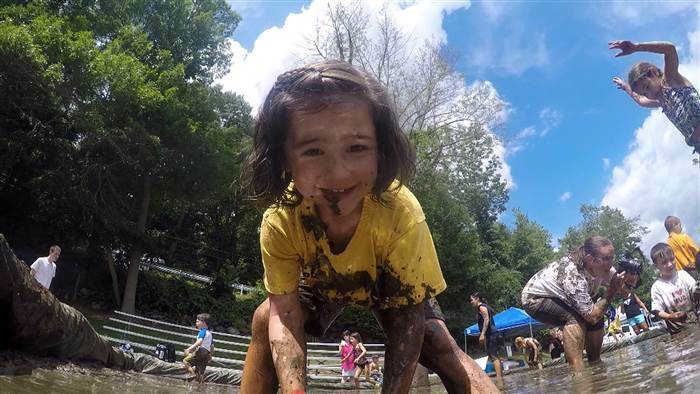 Thank you for sharing your story, Ty's story, and inspiring many mothers out there to believe even deeper in the power of love and courage (and in the magic of mud puddles). Ty will always be a superhero in my book. My heart is broken & I can not stop crying! I am waiting for someone to say this isn't true. I had a bad feeling all day when I didn't see your blog from last night. I prayed all day for super Ty. May god be with you through this & may your heart find some peace one day. We all love your whole family. I am so sorry your heart has to endure this pain today..
Ty was a beautiful little boy. I wish an eternity of peace for him. I am heartbroken for all of you. I will remember and pray for your son for the rest of my life. God Bless you all. May God be with you all at this inexplicably painful time. God bless you for sharing your beautiful little boy with us. He is in Heaven already, rest assured. Sending constant love and prayers. May God hold you in the palm of His Hand. Rest Peacefully sweet Angel....now you can run and play as every little boy should. Love and prayers from a family whose hearts you all hae touched so deeply. We don't even know you, yet we love you very much. Fly little angel, fly. May you rest easy now that you are no longer suffering. Our deepest condolences are with your family. Sending all of our love, The Nichols Family. My heart is breaking for your family right now. I hope you find comfort knowing that complete strangers are sharing and feeling your loss today. Your Super Ty has touched so many people and has changed lives.....and that is amazing!! He is Super indeed!! RIP beautiful boy, and hey cancer.....*uck you!!!! I am so sorry for your terrible loss. Ty did not deserve to leave this world but all we can say is he is not in pain anymore. He is having fun up there jumping in all the muddy puddles he can find. I am so upset and pray fo your whole family. Love to the family. He will be with you always. I love your family and am thinking about all of you during this very difficult time. Ty Louis Campbell has changed the world and will continue to do so. I am so very sorry. Your amazing little boy will be in the hearts of so many forever. I am so, so sorry for your loss. I will pray for Ty and your family. Please accept my condolences. I do not know you and, but cry for all of you right now. I can never imagine the pain you are feeling. May God watch over you all, help you find peace and give wings to your little angel. THoughts and prayers are with you. Ty is looking for mud puddles right now! He is pain free and happy, keep that close to your heart. Those beautiful heart shaped lips are smiling the biggest smile ever I just know it!. Cindy, I loved reading about Ty and your family. I do hope when you can you will write so we know the family is ok. My prayers are with you and yours...Sue D.
He has forever changed so many lives. Rest in peace sweet boy. I'm so so sorry. I was watching today...hoping this was not the reason why. I'm going to pray and pray and pray. Thanks for sharing Ty with all of us. We love him. My heart is breaking for you. I'm a mom and grandma who has been completely touched by your sweet son. You have been in my thoughts and prayers daily. I'm so sorry for all you have endured. Angel Ty will keep a close watch over his family until you are together again. Ty has taken a piece of all of us with him, but has left us a piece of him in return. thank you for sharing him with us. I will be praying your family can find comfort in the years. we love you all. I check your blog everyday and have been since I first saw Maya's post about your sweet little guy. My heart hurts for you and your family. I hate cancer. Ty and Ronan's stories have caused me to change my major and I hope that I can someday help kids fighting the same battle. I hope Ronan and Ty are hanging out in heaven eating all the candy they want. You are in my prayers. My heart is broken for you and your family. Reading about your beautiful Ty's story has changed my life and inspired me to become more involved in fundraising and creating awareness for pediatric cancer. May Ty rest in peace and look over you always. I am so sorry for your loss! Thoughts and prayers are with you! Ty - no more suffering, now it's time to be a kid again! Jump in those puddles and eat skittles galore! You are and will always be an inspiration and in our thoughts! I am so so sorry. Ty has changed my life forever.God Bless. My heart is broken. I am so sad I can't imagine how you and your family feel right now. He was the most beautiful boy. I do not know you but through your blog he has forever touched and changed my life. Thank you Ty. Say not in grief he is no more but in thankfulness that he was. R.I.P. SUPERTY!!!! Cindy and Lou I'm so sorry. May the LORD reach to all of your family to give comfort. No, no, no. I am so sorry. I recently stumbled on this blog, its been just 3 days and I have been so moved by your experiences that I cried and prayed for TY, I prayed for a miracle, one that would set him free from pain, in my mind the answer was only by him jumping off the couch and running around with all pains gone, but God wanted him totally free in a different way from mine,whether dead or alive TY won the fight he was the winner, he is free at last. I am sad for you and your family. May you allow yourselves to find peace, rest and comfort in the days ahead. God Bless Ty and your wonderful family. I will continue to pray for you all. SuperTy...I hope you are cloud jumping and angel racing tonight. You taught so many the true meaning of courage, strength and love. May your precious family find peace and support in the outpouring of love being sent their way. rest in peace ty. you've changed the lives of many in your 5 short years. much love to cindy, lou and gavin. I'm so sorry for your loss! My prayer now is for your peace. I know Super Ty is enjoying running and jumping in muddy puddles until his heart is content! He was just too good for this life! Thank you for sharing your story with us. God Bless! Rest in peace to the most amazing person I've ever known. You have changed my life for the better. I advocate on pediatric cancer and I will never stop fighting for a cure. You are forever in my heart Ty. I am expecting a baby and we are naming him after you. You have truly inspired us all. Cindy, Lou, Gavin and your entire family... May you find peace. Your family is a blessing and you will always have our love and support. Ty was truly amazing, I know you are so proud. May he be running in muddy puddles and playing with all his friends in heaven and laughing with his great grandmother. With love always. I am beyond words. I cannot say how truly sorry I am. Just... god bless you all and help you through this. Love always. My heart broke today when i heard this news. Today the best little boy in whole wide world got his wings. He is no longer suffering he is in no more pain. He is playing a jumping, eating candy. Ty has changed my life for ever I am a better Mom because of Ty. Try to take comfort in knowing that he is watching you all he is right by your side he is happy and free. He will never truly leave you and one day you will hold him again.I am so very sorry this should never happen to any baby. May he rest in peace. There is no more pain and he is an angel with God now, who will be watching over he's family. Thank you for sharing your beautiful boy. I hope you one day find peace in knowing that even though you had to let go physically he will always be there. When you hug Gavin, he will be there, when you feel a passing breeze he will be there,as your heart aches, he will be there, holding your hand helping you through. Your son has been an inspiration for many, as you already know. There are many people who's hearts ache with you. His story has helped me to be not so selfish in thinking how hard my life is with and autistic son. It has helped me to look past and help him move forward. Thank you and Ty for showing us how to be better parents, listeners, understanding and caring. You all will always be in our thoughts and prayers. I don't have any words except the ones to say I am so very, very sorry. The way you shared your family's journey and Ty's super hero strength through it all inspired and touched so many hearts and lives. Prayers will be said for a very long time in our house to wrap your family in love and strength. My heart is absolutely broken for you. Thank you so much for sharing Ty with us, and please know that he has forever changed the face of childhood cancer for me and many others. Go fly with the angels sweet Ty! Sending prayers from WV! Our hearts and prayers are with you all, Cindy and Lou for the loss of your precious little boy and to Gavin for the loss of his wonderful big brother. May God's love and the comfort of family and friends help you through this terrible time. We will be making a donation to the pediatric cancer research fund in Ty's name. God Bless you all. I am so sorry. This should not be happening to children. I will praying for your sweet family for comfort and peace. Ty is such an amazing boy and he is now able to run and play again. RIP sweet boy and show God how awesome your smile is! We are so sorry for your loss. You are such a beautiful family who has changed so many lives. Ty is finally at peace, he's soaring on clouds and sliding down rainbows like you told him. He was an angel on earth. May he rest in peace. I am so sorry, kids shouldn't have to go through this. Neither should you. I will be continuing in prayer for your family, and God's peace - that passes all understanding! So many strangers bound together by our grief over your precious little boy. There is a hole in the world tonight that can never be filled. I pray for you both that you find strength in one another in the days to come. I pray you lean on one another and grieve your way. Cry...yell...smile at the memories. Hold each other ...hold Gavin...and know that your little super hero changed the world for the better. Throughout this blog I have read how moms and dads are changing the way they raise their kids because of Super Ty. You both and Ty have changed the way people think. What an inspiration that little 5 year old super hero was. I believe he was put on this earth to do good and now he can rest, run, jump in puddles and play. God Bless You Both! The world is mourning tonight. Ty has taught so many of us about love, strength, loyalty, patience, appreciation of life, laughter, smiles, muddy puddles...and how we all have to fight our tails off against evil evil cancer. Strong Campbells, you have changed our lives and we share your tears. We promise to honor Ty's name. We just adored him and thank you for giving us the opportunity to be so touched by him. Rest in peace, Super Ty. Our thought and praers are with you. May Ty run free with the angels. Rest in peace Ty! Your whole family is in my prayers! Fly with the angels sweet boy! Free of the pain at last. Sending love and prayers to the Campbell family. RIP Ty you are a special boy. Im so sorry for your loss. May Ty rest in peace. My heart is broken for you and your family. I wish I could have taken his pain from him and that I could take it from you now. Even though there are no right words, I am so so sorry. My prayers are with you, Lou, Gavin, all your family, and friends. May Ty always be a Angel Super Hero. Words can not express my sorrow for your loss- no pain any parent should have to endure...... May you have love and strength to get through this difficult time. Thank you for generously sharing your life and family. You are an inspiration and I will pray for you all. May Ty rest in peace and may God be with you. I am so, so deeply sorry. The world does not make sense. But today I believe in Heaven. I have to. Ty touched so many lives through your words Cindy. So many lives. I am a better mother and a kinder, gentler person because of your strong, beautiful angel. I have prayed to a God I was no longer sure I believed in because of Ty. Thank you. Thank you so, so, so much for sharing his story with such eloquence and painful truth while you were already going through so much. Thank you so, so much. So much. Rest in Peace sweet Angel. My deepest condolences to Cindy, Lou and Gavin. Thank you for sharing your precious Ty with the world. I am forever changed by your sweet boy. God bless you all. May God grant you peace and may Ty find eternal rest in the arms of God. I can only imagine the absence that you feel in your heart right now. I am so sorry for your loss! No one should have to go through what you and your family and especially Ty have gone through! As a mom I commend your strength through all of this! You and your family are on my thoughts. R.I.P Ty you haves touched so many hearts. Campbell family.... you have given the lord a perfect little angel... Ty, may you rest in peace and never suffer another moment. Your strength and courage have touch many. I am so sorry, and I am praying for you. Ive been reading your blog now for six months and have fallen in love with all of you, especially Ty. Rest peacefully beautiful little boy, you have touched the lives of millions...There is a sea of tears today. Thoughts and prayers to Cindy, Lou and Gavin. My thoughts ane prayers are with you, his family on earth, and with Super Ty as he joins the ranks of angels whose time of earth was far too short. He has impacted more peple in his 5 short years than many do in their lifetimes. Beautiful sweet Angel, thank you for letting me fall in love with this beautiful boy. My heart is broken, I can't imagine your pain. Love to you all. God bless you Super Ty. I am so sorry for your loss. May Ty rest in peace. Blessings to you and your family. May you find peace in each other. Ty is running through fields of candy, with no pain. God be with you n your family. A beautiful angel has made his way heaven !!! heaven most be beautiful since Ty has arrived !!! May God wrap his arms around the Campbell Family and keep them safe has they continue the journey. Ty has earned his Golden wings!!! It is truly amazing how one exceptional little boy was such a unifying force and inspiration for so many of us.There are no words to express how sorry I am for your loss. Thank you for sharing Ty with the world. He could not have been entrusted to a better family! Continued prayers for your family! Rest in peace sweet boy! I hope you are enjoying as much candy as you can up in heaven. Thanks for sharing you special big boy with the world! He certainly left his mark! My prayers are with you. Thank you for sharing your hearts. I hope the pain lessens over time and you are able to remember the good times more than the sad times. You are very loving parents. He is most definitely watching over his family now. God Bless you all. Hugs. Just today with Ty on my mind, I began looking in to volunteer programs at pediatric units in area hospitals, as well as signing up to help at the local food bank. Anything to help those in need, inspired by your beautiful son, who touched so many.Ty Louis Campbell made a difference in this world. May he rest in peace. Words cannot explain how your son has touched so many lives. Our prayers are with you and your family now. May God and Ty watch over you. My heart is completely broken. Rest in peace sweet Ty, know you did everything you could. Know that Ty will be looking down on you from above. My deepest condolensces Cindy, Lou & Gavin. I'd like to think he is now jumping in puddles and being any super hero he wants and eating lots of candy. Sweet Ty, you have changed a lot of lives little guy, you will be truly missed but thank you for helping us all see how important the small things truly are. God has another angel in heaven. I pray that God give you all comfort, strength, and peace that only he can give. I am picturing Ty in heaven right now with a huge blue smile(blue lollies), happy, healthy, with joy in his eyes (like before he had cancer) and completely pain free playing and laughing with all the other angels in heaven. I am clear across the country and don't know your family but I think of you guys daily and you have ALL impacted my life, my families lives, my friends lives.... Ty was put here ob earth by God for a purpose... People will here about his story for a long time to come. I am so very sorry, I hope Ty is is having a ball running around and doing all the things he could no longer do thanks to this ugly disease. Ty Louis Campbell and your family have changed my life and I cannot think you enough for sharing his journey with all of use out here. My prayers are with you. Cindy, Lou, Gavin and family, I am so deeply sorry for the loss of Ty. There is no way to put it into words. I have been reading your blog for over a year, and while I am not a religious person I have still prayed to G-d on many occasions to make Ty well. That poor little boy suffered so much it makes me ill to think about it. I know you gave it everything you had in you but it just wasn't meant to be. I don't know why this happens to children, but I hope Ty's ordeal will at least have a positive impact on Childhood Cancer treatment research going forward. My thoughts and prayers are with you. At least you know that Ty's suffering is over, but I know yours is not and never really will be. Please stay strong for each other and especially for Gavin. He has lost a brother but you can't let him lose family. I hope his energy, innocence and love will help you get through this. Cindy, I truly hope that you realize what an amazing mom and dad you and Lou are. You brought attention to a horrible disease that effects so many with your blog. Heaven got a very special angel today. I read your blog every day and my heart hurts for you and your family. God bless Super Ty and I hope he finds lots of puddles to jump in now. No more pain as you know that he is in a perfect place for perfect children and he certainly was Super Ty!! I love that his initials are TLC. May this sweet little boy rest in peace. You and your whole family will be on my thoughts and prayers. I will never forget this battle you all fought. I am so so sorry for your loss. Ty Louis Campbell changed my life. I never met your sweet boy but know that we will miss him. God Bless this beautiful boy. I cannot imagine the journey you and your family have been through these past years. Ever since I have heard your story, I thought of Ty and prayed for him often. I am so deeply, deeply sorry for your loss. This little boy was an angel and now he has returned to heaven to watch over your family. I lit a candle tonight for Ty and I pray your family finds peace and healing in this time of sorrow. RIP sweet Ty. Cindy, we haven't seen each other in 30 years, but I have been thinking of you so often lately, and I am so so sorry for your loss. There are no words. Just know that we are all out here, sending you strength and peace. Sincerely, Debbie's cousin, Carolyn. Not one more second of suffering for sweet precious Ty. On your saddest days remember his strength, always happy joyous personality, and his never ending love of life and live this life the way he would have. I think Gavin is a special gift you've been given to help you live from here forward. His wonderful crazy playfulness is exactly what will get you through each day. You're all in my prayers. So sorry you are in our prayers. Oh beautiful Ty. Cindy and Lou, I am so sorry. I can't imagine your pain. Sending prayers to you. I'm picturing Ty running and playing. Not in pain anymore. God bless you. I am so sorry for your loss. Your family will be in my prayers. I myself am the mom of two little boys and I can't imagine your pain. He will always be in your heart. So very sorry to hear this. I woke up at 3am looking for an update. I kept checking every hour throughout my day thinking my email alert was broken. I went through the archives and tried to rationalize things, thinking that sometimes you go a day or two without posting and everything is usually fine. We have been praying every day for a miracle. For the first time, this afternoon I got on my knees and prayed that if a miracle wasn't to be, that God would take him without anymore pain to his body. I am so very sorry to you Cindy, Lou and Gavin. So many people are screaming, shouting, crying, throwing things, praying...We all love your family so very much and please know that we will never forget your sweet boy. The next time it's raining, we're going to jump in every mud puddle we see. Ty changed lives. He will continue to change lives. Sending you enormous amounts of love as you grieve your precious son. Bless you all every minute. He is free of pain and suffering. so very sorry. I picture him running and playing in no pain at all just enjoying a good laugh about nothing at all. My heart breaks for little Ty and his family...May you rest in peace sweet boy. There are no words to express how I feel. I wish none of this had EVER happened!! Its 7pm EST Heavenly Father hear our prayers. May he rest in peace, in the arms of our Heavenly Father and to his family may you always find solace that Ty, will be a Hero to all of us. I hope that you can receive comfort, however small, in the number of people who held Ty in their hearts and how big of an impact his life was for so many. Ty's strength and courage was matched only by your decision to share Ty with the world. I pray for peace and healing for you all. We are so very sorry. You are all in our hearts and prayers. There are no words that can convey the degree of sorrow I feel for your family. You guys were truly amazing and Ty was very blessed to have a family so filled with love for him. You will always been in our prayers! My prayers and thoughts are with you all during this difficult time. After reading your blog l have learned to take each moment as a true gift because we knew of Super Ty's fighting spirit and the love that he was given by such wonderful parents. I will always remeber Super Ty's story. Ty and you and Lou have made me a better Mom. God bless your sweet and beautiful boy and may God comfort you and your family and friends!!! Tears flow as I write this. Cindy, Lou and Gavin, I am so sorry for your loss. I know Ty is finally playing and running and just being a little boy. Thank you for sharing his story. I am so very sorry for your loss. Our thoughts are with you in this difficult time. We will always remember Super Ty. He has made a huge impact in our lives. I am so so sorry. Thoughts and prayers to you Cindy, Lou, and Gavin and the rest of your incredible family. I wish I could have met this strong brave boy. His spirit is soaring. I am so sad for you all. Prayers to you. I am so so sorry. Rest in peace super Ty. My heart is broken for all of you.